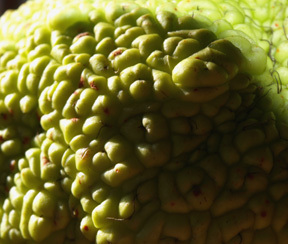 For years I walked by a tree I called the Brain Tree because its fruit had the convolutions of a brain, but I knew the tree had a real name. So, I asked around. 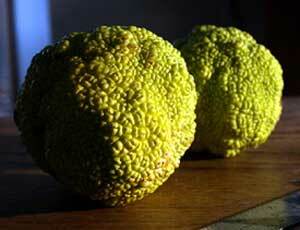 Emily Lubcke wrote, "The tree from which the fruit fell is an Osage Orange (Maclura Pomifera). 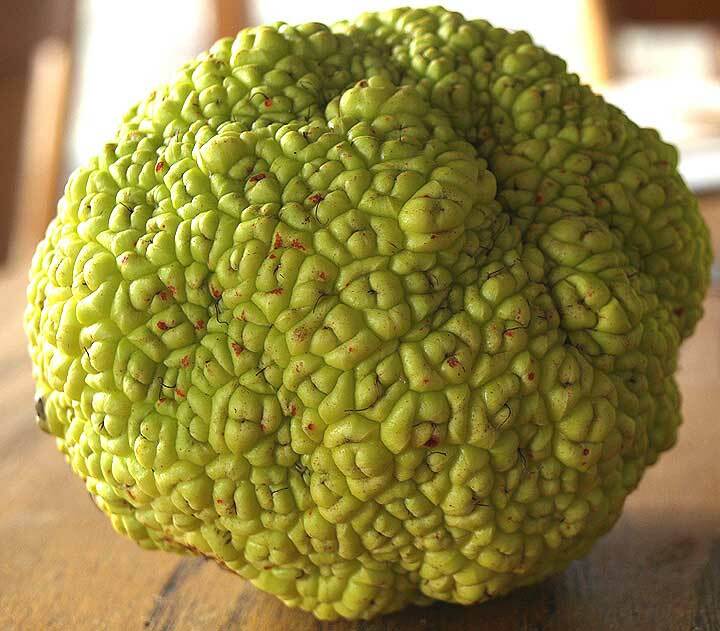 Sometimes the fruits are called Hedge Apples. They actually make a great insect & spider repellent this time of year. 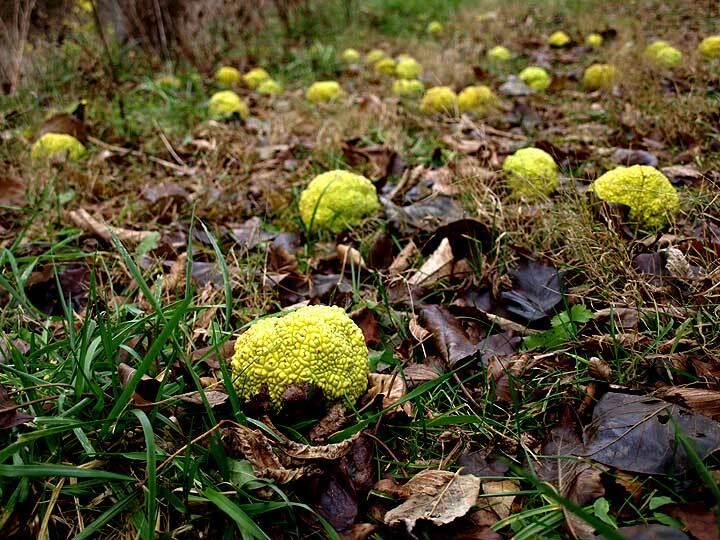 You just set them out in a bowl or something and they will keep the insects back." The hard wood of the tree is " suited for the making of fence posts that once in the ground are good for many decades" and for making Osage Bows and other wood implements. "It was one of the primary trees used in President Franklin Delano Roosevelt's "Great Plains Shelterbelt" WPA project, which was launched in 1934 as an ambitious plan to modify weather and prevent soil erosion in the Great Plains states." knowing that I can always pick up a brain there.